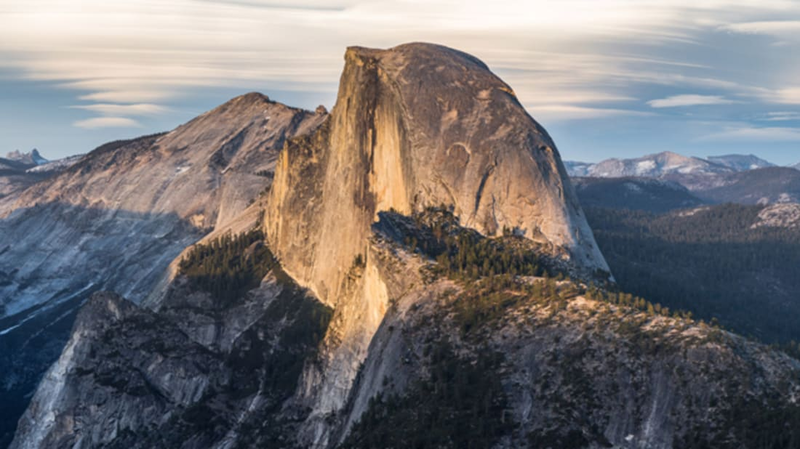 During a run of stormy days last week, a 2,500 ton slab of granite rock face fell from Yosemite’s famed Half Dome cliff and went crashing into the valley below. We’ll never know if it made a sound, because no one was around to see it and the seismic event went undetected for days. It wasn’t until July 5th that a pair of climbers made the discovery the hard way—after scaling high enough (over halfway up the 1,000 foot cliff) to find they couldn’t proceed. 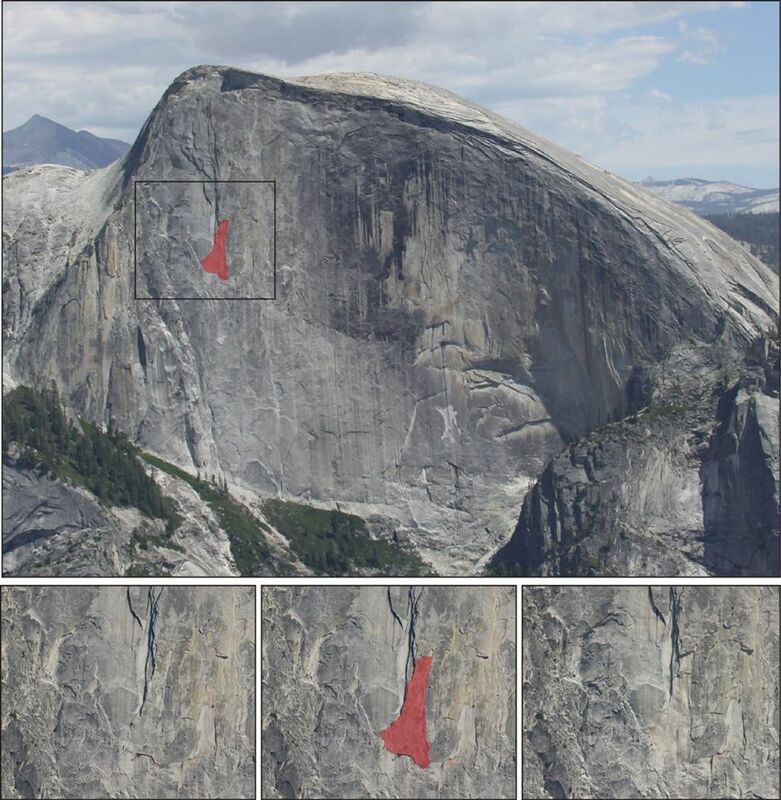 On Wednesday, Yosemite National Park posted this photo on Facebook outlining the damage. As noted in the photo caption, it turns out rock falls of this scale happen about once a year at Yosemite. This particular one is newsworthy because of its place on the iconic cliff and its role as part of a popular climbing route. As it turns out, the course is probably easier now, as sheer rock has replaced a more dynamic face. Now the race is on to establish and remap it, which won't be an easy task, as doing so will likely involve installing new bolts for climbing ropes. The honor of that historic task will go to whomever gets there first. The falling slab was about 100 feet wide by 200 feet long, probably fell about 550 feet and was relatively thin. The process of geological “exfoliation” occurs because of fractures in the rock that become further irritated due to weather or tectonic activity. In this case, rain was probably the culprit. Yosemite National Park also posted this awesome video on rock falls, which includes some great slowmo action. Yosemite Nature Notes: Rock Fall Curious about rockfalls in Yosemite? This Yosemite Nature Notes video will tell you all about them (and includes awesome footage of a rockfall in progress).